Ariana Television Network was launched in 2005. 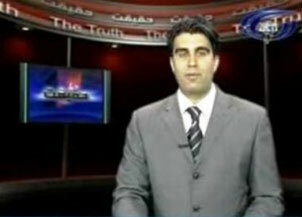 Ariana Television, otherwise known as ATN, was founded by Mr. Ehsan Bayat. ATN covers 33 of 34 provinces in Afghanistan and provides high quality Afghan programming to people in Afghanistan and around the world via satellite broadcasting and streaming services. ATN programming has an emphasis on entertainment, education, health, children's programming, women's and world issues, as well as unbiased and accurate news content. ATN uses three satellites for national and international broadcasting and streaming services provided by Tulix in order to serve the Afghan community worldwide. 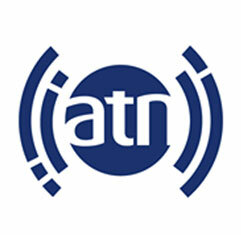 ATN has Master Control Rooms in Kabul and Singapore and business offices in Afghanistan and the USA. ATN uses state of the art production equipment and the latest in delivery and transmission solutions. ATN has sister companies offering radio services via Radio Ariana 93.5 and a domestic cellular network provider company called the Afghan Wireless Communication Company or AWCC. AWCC along with ATN and Bayat Family Foundation employs more than 4,000 Afghans. ATN and its sister companies clearly impact the lives of countless Afghans around the world. The tag line for Ariana TV is a "Window for a Better Tomorrow". The company lives up to this motto providing valuable and entertaining content to Afghans and people with an interest in Afghanistan ...no matter where they are in the world. For many broadcasters of content from countries around the world, it is often hard to reach populations that are scattered globally. These diasporas often include some of the best and brightest, and portions of the populations that very much long for a taste of home and to stay connected. Reaching these scattered populations can be problematic and expensive, and can also open up a broadcaster to having its content more easily pirated. ATN was no different than any other international broadcaster facing these issues. The challenge ATN faced when it came to streaming boiled down to this: Provide a high quality and compelling video service but secure it so that viewer traffic would come only through the ATN website and official applications. The availability of ATN via satellite is a great way to offer content but satellite is not available to all. Web streaming services and OTT fills this gap. On top of this, OTT and web delivery technologies have made leaps and bounds in recent years and now can offer comparable or better quality - providing there is sufficient bandwidth. However, much like satellite feeds, web streams can be cloned or pirated. In the case of streaming services, this can result in result in lost branding opportunities and increased data charges not attributed to a broadcaster's web site and apps. This is where Tulix stepped in! ATN reached out to Tulix for a comprehensive video streaming solution. ATN required top notch, high quality video streaming, a robust and reliable content delivery network and asked Tulix to provide much needed stream authentication so that ATN would only pay for streams being viewed from its site and applications. On top of all this, ATN needed accurate analytics related to viewer counts, locations and stats. ATN received all of this and more from the Tulix delivered solution. Tulix provided its typical high quality video streaming for ATN. Tulix receives one ATN mezzanine live feed and then takes care of the rest, including: determining the kind of content a customer is streaming, how many profiles are needed, what formats or codecs are necessary to reach end-user devices, and other factors. To address issues that ATN was having with its stream being re-directed to unauthorized IPTV and OTT offers, Tulix instituted token authentication. Using ID Token Authentication viewers receive a token from the ATN web site periodically that needs to be regularly verified. This issuing of tokens, as well as the authentication and verification, is seamless to the viewer and streaming process. By issuing this token directly from the ATN web site and apps the stream cannot be diverted to a third party site or portal which might in turn offer the stream as part of a bundle or for a fee, but leave ATN to pay for the data rates. Using ID Token Authentication, the ATN stream can only be viewed on the ATN site and eyeballs can be recorded, analytics collected, and the stream can be monetized if desired. ATN started with 1 web stream with Tulix but has since expanded. With the assistance of Tulix, ATN has launched its own Android and Google TV apps using Tulix services. ATN has added ABR streaming using Tulix as well. ATN sees Tulix as a partner it can truly grow with and one with which it could easily offer multi channel service offers. Lastly, ATN could also easily roll out support of other devices (Fire TV from Amazon for example) with Tulix. Tulix delivered to ATN an end to end streaming offer that also addressed the big issue and pain point ATN was having related to authentication. No longer will rogue operators be able to take the ATN stream and offer it in IPTV or OTT services by redirecting the content from the ATN site to their own sites.. and then stick ATN with the data bill. Why is Tulix the perfect choice as a CDN and video streaming partner for companies like ATN? Tulix has all the required video, data and content delivery skills and acumen required to deliver these types of offers. Tulix also has many customers just like ATN and is able to draw on a wide range of experiences when delivering a solution. Many of Tulix customers are international media companies leveraging web and CDN technologies to reach far flung audiences. Tulix itself is an international company and understands well the specific challenges these types of companies face. Tulix can provide a deep and comprehensive streaming transcoding and video delivery network solution to any type of media company. Tulix provides end-to-end live streaming solutions for broadcasters and content distributors of all sizes. Using Tulix's own streaming-optimized UniStream Video Delivery Network (VDN), the company helps customers reach global audiences on all major OTT platforms. In addition to providing content delivery, Tulix develops customized and branded applications for Roku, Android, Google TV, and iOS that incorporate all required streaming services including; live, VOD, stream security, adaptive bitrate, cloud-based playout, and DVR. Tulix also offers a full spectrum of monetization options, including subscription billing, pay-per-view, and ad-insertion for all web-based streams and applications. Do you need to launch a web stream or need to protect your web streaming content? Do you need a reliable, robust and secure video delivery platform? If so, you cannot make a better choice that utilizing the skills, expertise and technology of Tulix.